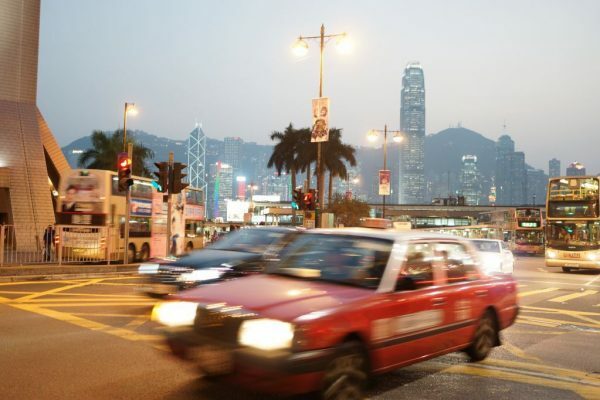 Hong Kong is a small country with 7 million inhabitants and much traffic. Notably in the city itself, the air quality may suffer. Now, the new Chief Executive Mr C Y Lueng gave a policy address on January 16. One of the topics addressed was the environment. 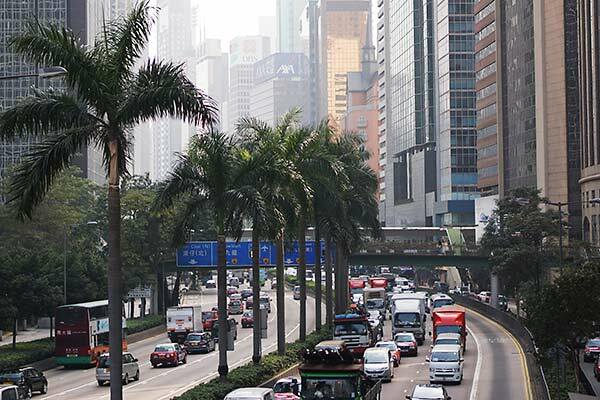 In an effort to remove 80,000 polluting, old, diesel-powered commercial vehicles, the government will set aside 10 billion HKD (1 billion EUR) in subsidies for their phase-out. All this can be interesting for Swedish truck manufacturers that already comply with the latest European and American exhaust standards. Hong Kong, Gloucester Street in the Wan Chai area. Hong Kong will also strive at strengthening its position as a global city with deepened trade agreements with other countries. With its geographical location, Hong Kong is a hub for business within Asia Pacific and notably with mainland China. The country also wants to broaden its industrial base from not only finance and trade but also with science, design and product development. The Science Park is now the home of some 400 companies (out of which about 30% are from other countries). It is also interesting that Hong Kong tries to stimulate creative industries and see a growth potential for e.g. design companies. 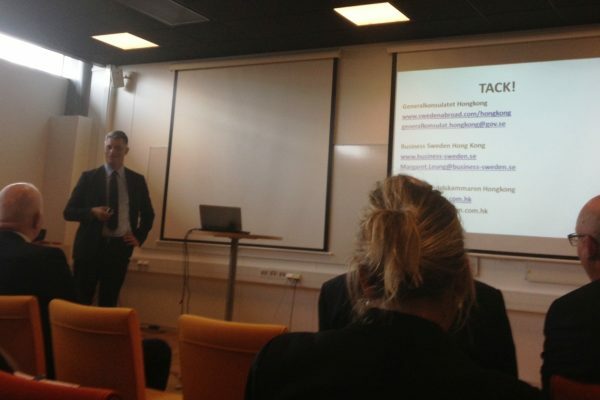 Sweden is represented by the Swedish Consulate General, Business Sweden and Swedish Chamber of Commerce. 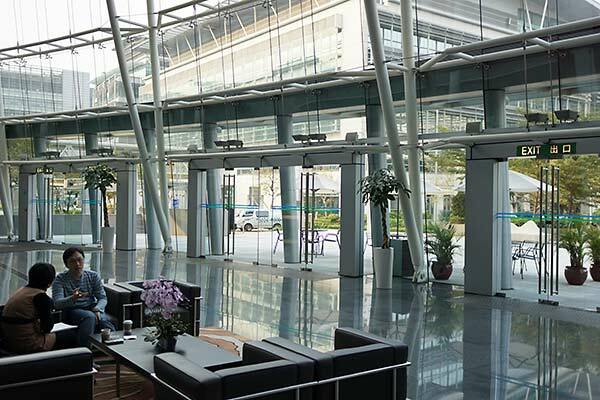 Hong Kong Science Park with 220,000 sqm of office space. The park offers “plug-and-play” offices to startups.